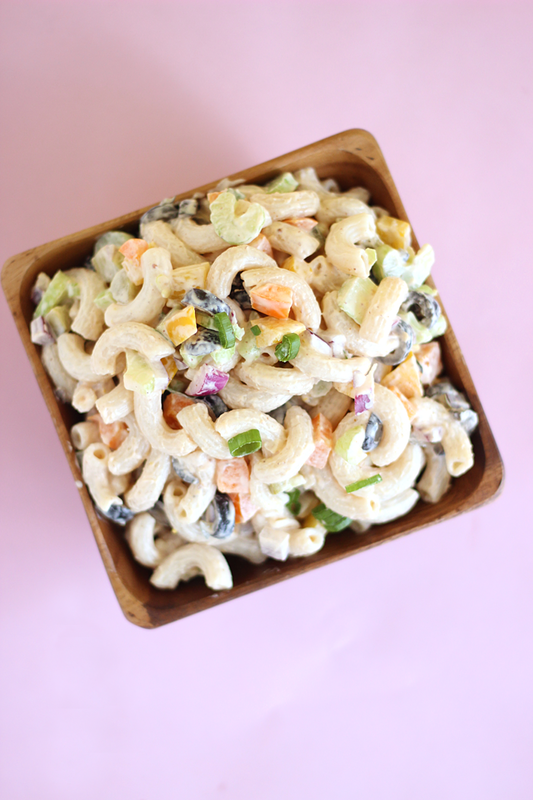 This dairy & gluten free chilled BIG Macaroni salad is both creamy and tangy and the perfect companion to all your BBQ’s this summer. 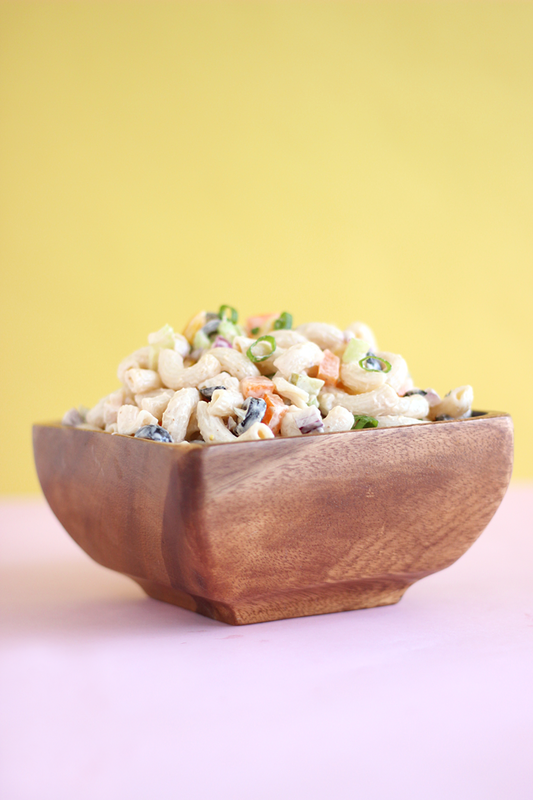 I’m sure everyone’s BBQ menu has a variety of go-to salad options, but there’s something about a big bowl of creamy, chilled macaroni salad that makes it a must when it comes to Summer BBQ’s. You’ll know by now that I’m not a huge fan of pre-made anything, especially macaroni salad; they’re always way too sweet and overloaded with mayo. So what do I do? Make my own of course! Lets be real, obviously a big bowl of mixed greens with a lemon vinaigrette is probably a healthier option but everyone has their guilty pleasures- Gravy, wings, Doritos and let’s not forget my friend Mr. Cheesecake. I feel like I can hear your jaw dropping ¾ yes I am a real human being and I do indulge once in a while, I just don’t eat these foods every week! All cravings aside, I decided to create a fun, “healthier” twist and whip up a dressing that’s both sweet and tangy, which slightly resembles a familiar “secret sauce” long island dressing by that yellow arch company (wink wink) who shall not be named here. I haven’t had a Big Mac in a VERY VERY long time but I do remember the sauce being absolutely delicious, but definitely not nutritious. 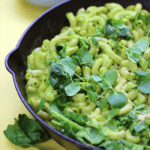 So here I thought I would mix two delicious things together, with a squeeze of healthiness and make some BIG MACaroni salad. 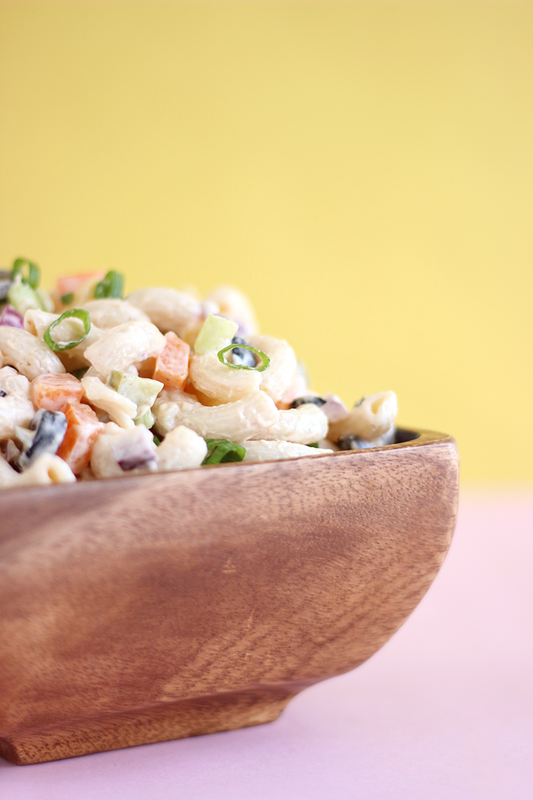 This creamy, tangy and chilled BIG Macaroni salad is the perfect companion to all your BBQ’s this summer. Start by bringing a large pot of water to a boil and cooking the brown rice pasta as per the directions on the package. Once cooked, drain and rinse well with cold water. This stops the cooking process and prevents the pasta from sticking. Set aside. Wash and finely chop up all of the veggies. Rinse and drain the can of olives. Add cooked/cooled pasta to a large bowl along with your chopped up veggies and olives and mix until combined. In a blender, add in all of the ingredients and blend on high until smooth (roughly 15-30 sec). 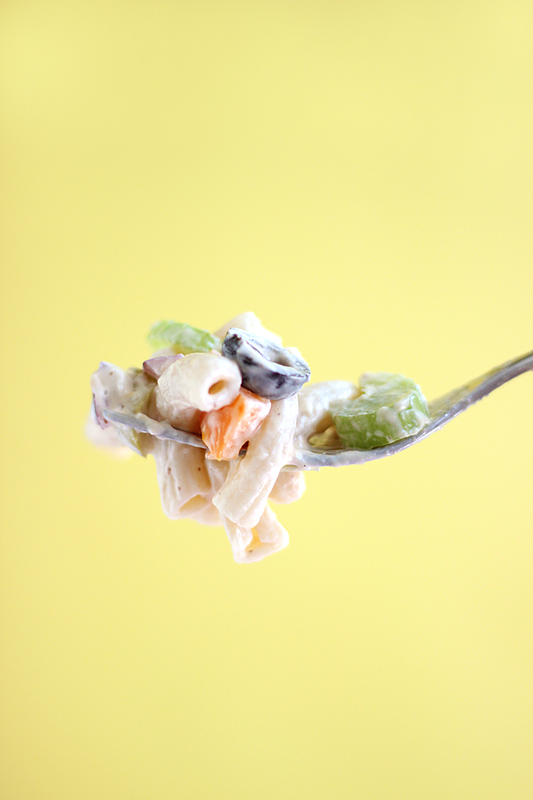 Pour dressing all over macaroni salad and toss well until pasta and veggies are evenly coated. 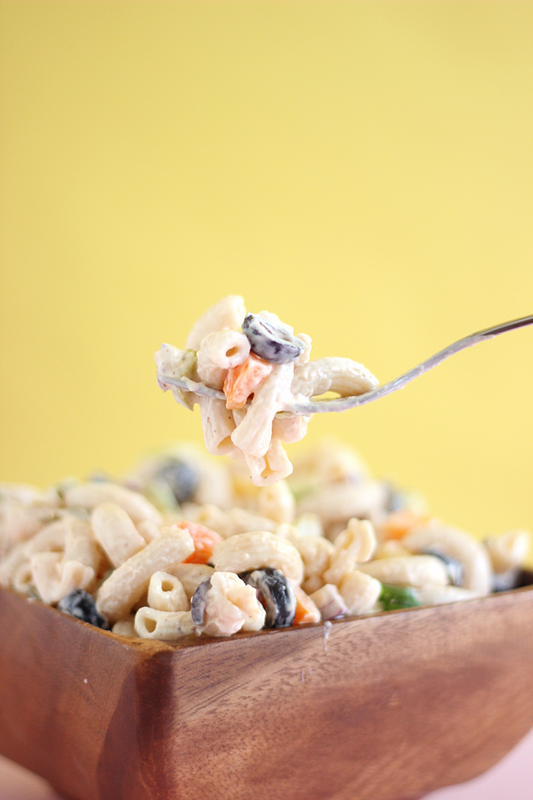 Cover and place macaroni salad in the fridge to chill for 2-4 hours or until ready to serve. 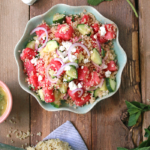 For best results: Prep salad the night before and serve the next day. 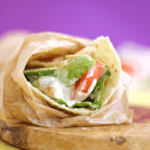 Dressing can be stored in an airtight container in the fridge for 3-5 days. 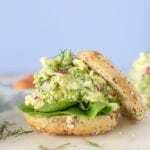 Leftover macaroni salad can be stored in an air tight container in the fridge for 3-5 days. Do you have an estimate for how much brown rice macaroni that is in cups? Hey nikole, i love the way you write and explain with needy ingredients. Thanks for sharing.